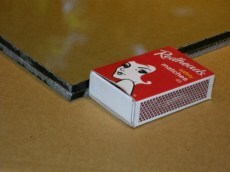 Heavy plate glass, usually cut from recycled laminated stock. Size may vary slightly depending on availability. Perfect for flattening waterstones and trueing up and polishing plane bodies.